By many accounts, Peru is doing well. Investments have poured into the mining and energy sectors thanks to government efforts to create a welcome environment for foreign capital. And while economic growth has tapered off in the last year, the average annual rate from 2010 to 2014 was an impressive 5.8 percent. 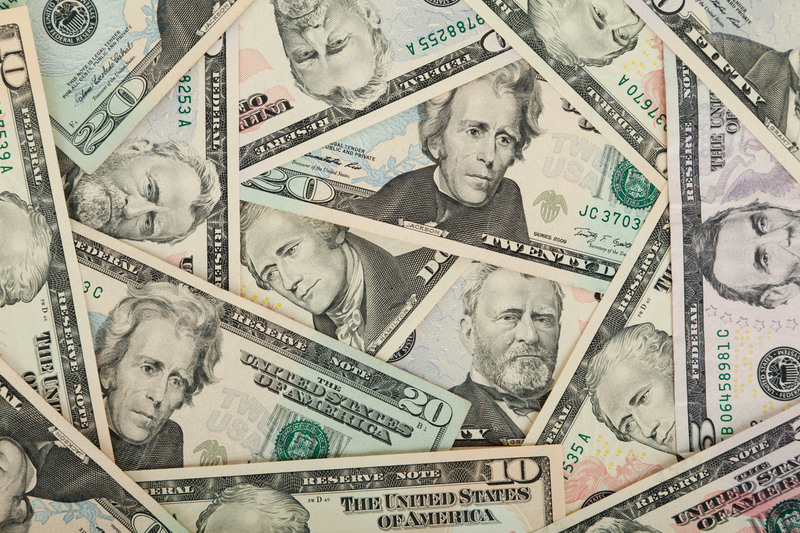 The country’s poverty rate fell by half between 2000 and 2012, while the middle class grew faster than that of any other country in Latin America. By drawing revenue from the mining and energy sectors, the government has increased spending on education to an unprecedented 3.5 percent of its GDP and has made some progress in reducing chronic child malnutrition. In anticipation of the Summit of the European Union and the Community of Latin America and Caribbean States (EU-CELAC) this month, the EU-CELAC ambassador congratulated Peru for becoming a “stable and developing country” with “responsible macroeconomic policies.” She noted that over 50 percent of foreign investments in Peru now come from Europe while a substantial portion of Peru’s exports are sold to European countries. Peru’s progress in reducing poverty and childhood malnutrition was also touted as President Ollanta Humala signed the Schengen visa waiver agreement to ease travel restrictions to and from Europe for Peruvian citizens. The EU is one of Peru’s most important partners, as he expounded, and the two share “a common history in terms of culture.” The visa agreement is just one step in the plan to fortify that partnership. Back home, however, not everyone is so impressed by Peru’s developmental path. Throughout much of southern Peru and Cajamarca region in the north, farmers and community organizations have declared their opposition to a $1.4 billion USD copper mining project known as Tía María. The project belongs to Southern Copper Corporation, which is owned by Grupo México, a Mexican American mining company. Tía María, which would consist of two open pit mines, is to be located in the Tambo Valley in the province of Islay. Tambo Valley communities and those in surrounding regions fear the health and environmental dangers that come with the use of heavy metals in open pit mining. 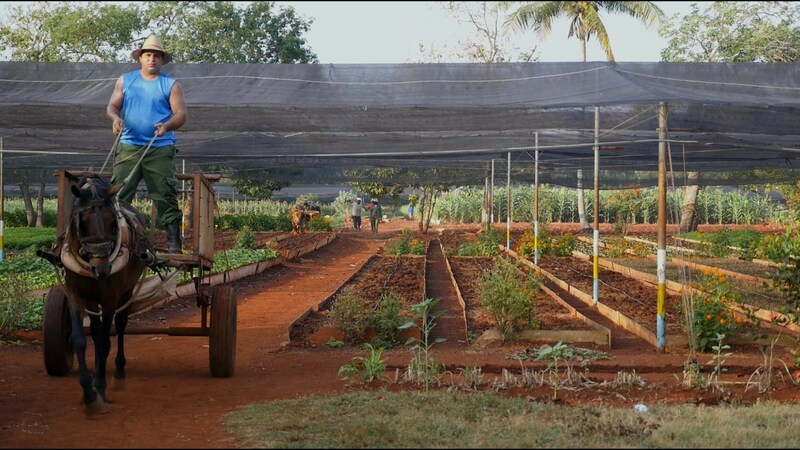 Agriculture is the mainstay of the local economy and nearly all agricultural produce in the region and 88 percent of the fishing catch go toward feeding the population in the southern area of the country. Community members are quite familiar with Southern Copper’s dismal record in neighboring regions where its mining projects have dried up water supplies and contaminated surrounding lands. The result for indigenous and other rural people has been serious illness and the loss of employment in farming and fishing. With this in mind, the Tambo Valley communities rejected the project by a resounding 93.4 percent during a popular consultation in 2009. In an attempt to reassure the communities, Minister of Energy and Mines Pedro Sanchez promised to bring “environmental procedures to a higher standard of excellence.” In 2010, the government signed an agreement with the UN Office for Project Services (UNOPS) for a review of 100 separate environmental studies. As was hoped, the deal brought a halt to the social protests going on at the time. Nonetheless, Tía María was unexpectedly cancelled in March 2011. 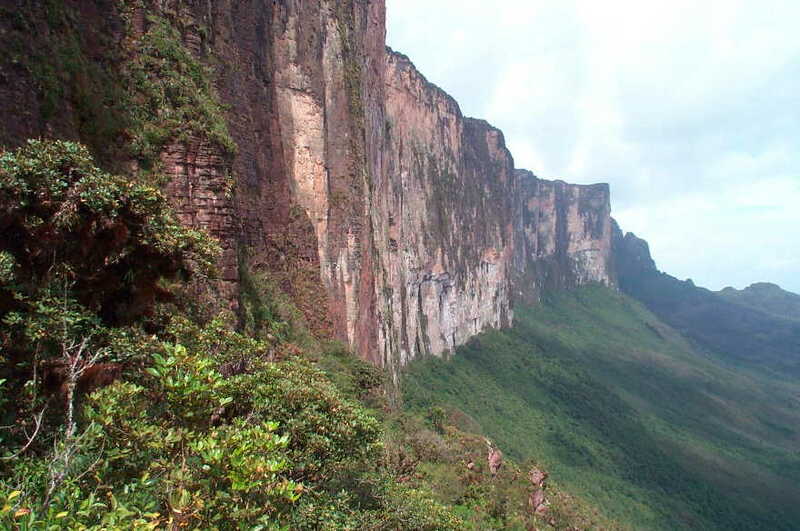 As the Tambo Valley communities learned soon after, the UNOPS report on Tía María included 138 “observations” or areas of concern regarding the project. Among the most serious observations was the finding that the company’s own Environmental Impact Assessment (EIA) contained no hydrogeological study. Further, the water to be used at the mine would not come from the sea as the company had claimed “but rather from an estuary—a very sensitive area due to the diversity of species present and its shallowness.” Nor did the EIA take into account the company’s plan to extract gold in addition to copper, a process that entails the use of mercury. During the mining process, mercury can enter into the water supply and the atmosphere, causing damage to the ecosystem and serious dangers to human health. In 2014, Southern Copper sought to revive the project by producing another EIA, which indicated that the company would create an on-site water desalination plant. At that point, however, any trust that the Tambo Valley communities may have had in Southern Copper had eroded. Few residents were convinced that the open pit mines, one of which would be a mile wide and two thirds of a mile deep, would not cut into the water table and affect the water supply. In March, an indefinite strike was declared in Islay bringing thousands of people into the streets in protest, many of whom blocked bridges and highways. By mid-May, a small but virulent group calling themselves espartambos had formed and were using sling shots to pelt stones at the police. Many are suspected of being former members of the military. In May, Humala responded by declaring a state of emergency in nine districts of Islay, deploying hundreds of military troops into the region, and freezing the bank accounts of the various municipalities involved. Constitutional rights including the right to hold meetings and travel freely have been suspended as military troops have moved into homes, patrolled streets, imposed curfews, and even detained schoolchildren. A quick assessment of the casualties that have occurred since the strike began indicates that most of the protestors are rural indigenous people. Many say that they feel overwhelmed by the power of the mining industry and betrayed by their president, who had vowed to support them during his presidential campaign several years ago. Instead, the land has been gradually sold out from under them—69.9 percent of the province of Islay, including 96.2 percent of the city of Cocachacra in the Tambo Valley, is now under concession to mining corporations. In addition, the Ministry of Environment, created in 2008 to set standards for acceptable levels of pollutants, has since been stripped of this power. With little input from this ministry, EIAs are often carried out by the mining companies themselves and then placed on a fast track for government approval. In the meantime, the concerns of the affected communities are ignored, while their elected leaders can be jailed for speaking out. Furthermore, like many other private companies, Southern Copper is able to hire the local police for its private security purposes, thereby undermining the very notion of public safety. Tía María’s supporters, on the other hand, seem to have plenty of tools for advancing their interests. In the last few years, the Peruvian Congress has passed laws that make members of the police and Armed Forces less accountable for using their weapons during social protests. Legislative Decree 1095 legalized intervention in conflicts by the military without a declaration of a state of emergency. In addition, the law now treats mass protest action such as roadblocks as a form of extortion punishable by up to twenty-five years in jail. The law also prohibits local officials, who are a key source of leadership in rural areas, from engaging in protest. Rural and indigenous protestors suffer inordinately from these measures due to the greater tolerance for violence against indigenous people and the lack of adequate media coverage in remote areas. Another powerful weapon that has been wielded against the protestors lies in the use of language. Along these lines, company officials, political leaders and the mainstream press have all been quite adept at demonizing those opposed to Tía María. As the strike began, Southern Copper spokesperson Julio Morriberón, proclaimed, “We are obliged to report this as being a totally anti-mining terrorism minority group, which is using violence to blackmail the majority who are in favor of this project.” Note his use of the words “terrorism” and “blackmail” with their potential to conjure up hatred and legitimize acts of violence by the government. The expressions “anti-mining” and “minority” frame the protesters as mere ideologues with no acknowledgement of their very normal concerns about the health and well being of their communities. This kind of language has been picked up by public officials, members of the press, and commentators in the business community. Congressman Juan Carlos Eguren called the decision to cancel the contract a “triumph of radical anti-mining interests that had taken advantage of the warmth and mediocrity” of Humala’s government. In declaring the state of emergency in Islay, Humala associated the Tambo Valley protestors with Sendero Luminoso, the terrorist organization that had plagued the country during the 1980s and 1990s. “There is a campaign of misinformation and stigmatization of projects for ideological and often pre-election purposes,” he added. Similarly, Police Chief Eduardo Perez Rocha stated that Sendero Luminoso appeared to be “infiltrating the people.” Carlos Galvez, head of Peru’s National Society of Mining, Petroleum and Energy, has contended that Tía María’s opponents are simply politicians courting votes in the countryside machinations and “outsiders” who whip up “anti-mining” sentiment. “Here everyone is anti,” he said. “If you’re anti-mining then you’re in fashion.” Foreigners, NGOs, leftists, radicals, and Venezuelan “chavistas” have all been cited as the real cause of the demise of poor Tía María. The kinds of health and environmental risks that the Tía María mine now poses would not be tolerated in this or any other “developed” country. Nor would we accept the jailing of mayors, governors and legislators for speaking out on behalf of their constituents. And we would hardly take to having police officers freely enter our homes to carry out warrantless searches and arrests and impose restrictions on our free speech, gatherings, and travel, occasionally beating us up in the process. Yet all of this is currently taking place in Islay and other communities. While much of Peru has benefited from mining revenue, those communities at the mining sites are paying the price in health risks, increased repression, and the loss of their land, homes, and way of life. As it now stands, Humala is caught between a copper mine and a hard place. Commodity prices and economic growth rates are falling steadily along with his approval ratings. His excursion to the EU is part of a larger plan to bolster investments and rescue his legacy before the end of his term in 2016. By supporting multi-billion dollar projects that fail to gain the trust of surrounding communities, however, he will likely leave a fractured society and embittered rural communities under military rule in his wake. We can only hope that Peru’s journey toward greater integration with Europe and other parts of the world will bring about a greater demand for protecting the rights of its rural and indigenous populations. 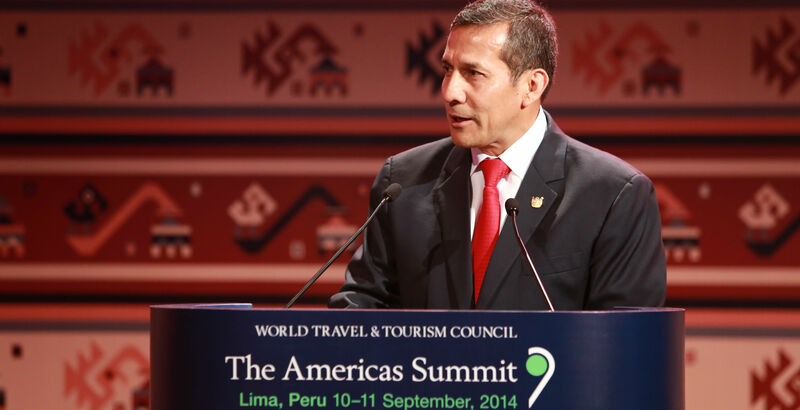 Featured Photo: Peruvian President Ollanta Humala speaking at the WTTC Americas Summit. From: World Travel and Tourism Council.